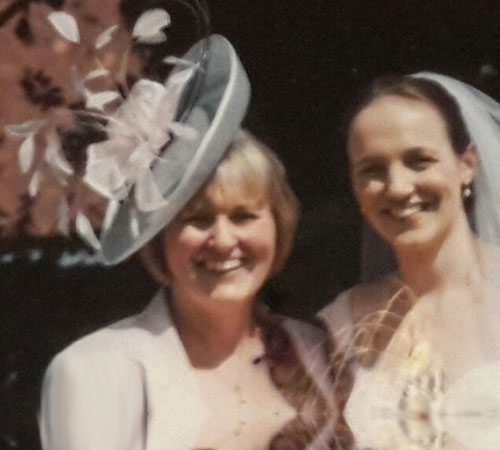 I met Jennifer at a wedding fair in the Spring...I'm not usually a 'hat person' but by the time I had tried them all on I changed my mind. It was such fun! I totally surprised myself and Jennifer rightly said...'there's a hat for everyone!'. My son is not getting married until late 2017 but I will be contacting Jennifer when I have bought my outfit! 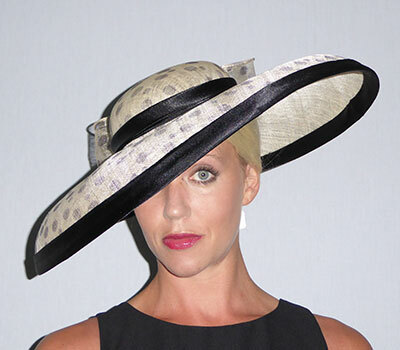 And I know with absolute certainty, my hat will be unique on the day, and as a proud mother of the groom, I will look special too! Thanks so so much Jennifer for the amazing hat you made me for my day at the races. You did such an incredible job of matching all the colours to my outfit. 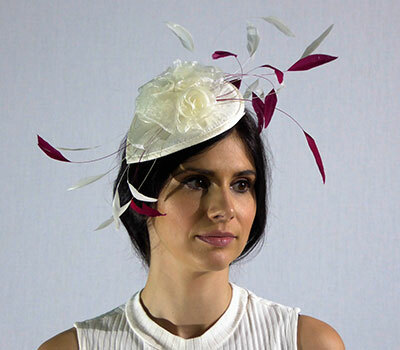 I'd like to think it was me that attracted the attention at the races, but everyone was asking where I got my hat from. Thanks again and I'll be in touch very soon for another of your wondrous creations for a family wedding in the Spring! 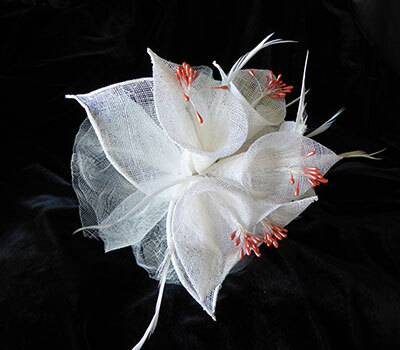 I commissioned Jennifer to make a hat for my great niece's wedding this summer. I took my outfit with me and within 3 weeks she had produced this masterpiece, which matched my dress beautifully! I couldn't have been more thrilled, and I have never received so many compliments, so I felt very special indeed. It simply added to what was the most spectacular family occasion! 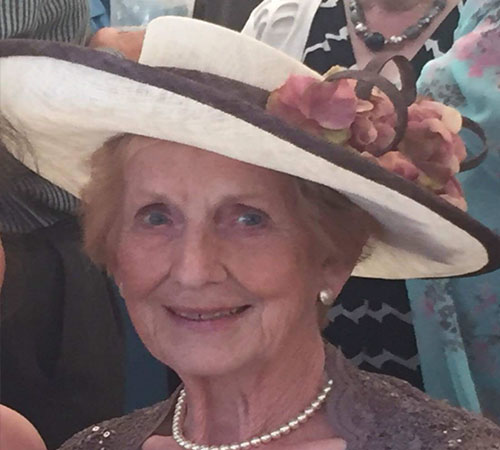 Dear Jennifer, Thank you so very much for my beautiful hat it matched the absolutely wonderful day . Abi would like to wear it to a wedding next year too, so I must be fashionable. Thanks again. 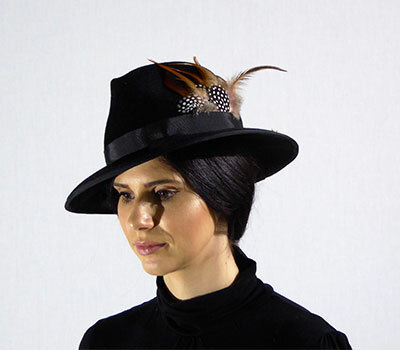 Dear Jenny, Thank you so much for making my beautiful hat. 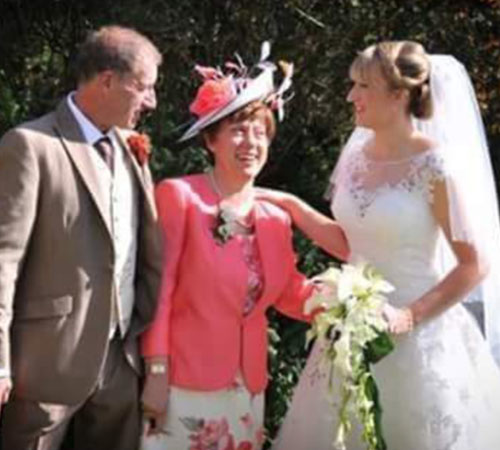 I had so many compliments at my daughters wedding, it matched my outfit perfectly, and I kept the hat on all day and most of the evening. The whole experience was a delight and I can recommend her expertise without hesitation. 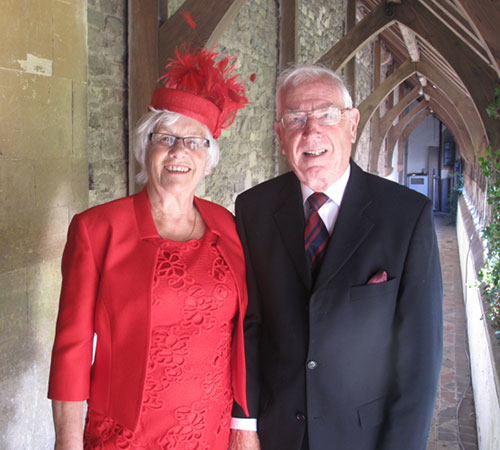 Having bought my red outfit for my grand daughter’s wedding I searched in vain for a matching hat. Eventually deciding that I would have to resort to the colour black in order to have a pillar box style. Then, joy of joys, I was given Jennifer’s business card. I arranged an appointment, receiving a lovely reception, and was overwhelmed by what was on offer. 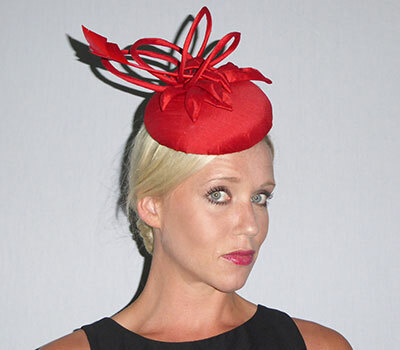 The result, an individually made hat, exactly matching the colour of my outfit which I left with her. All this at a very reasonable cost. The whole experience was a delight and I can recommend her expertise without hesitation. 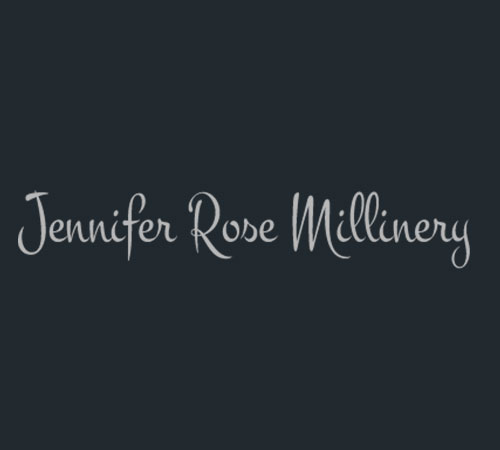 Notice: Jennifer Rose Millinery has updated its website in compliance with the EU Cookie Legislation. Please review our policy to find out about which cookies we use and what information we collect on our website. By continuing to use this site, you are agreeing to our policy.